Four architects were asked by New York magazine to submit ideas for a vacant lot in lower Manhattan. It's merely a design exercise, as none of the proposals will actually be built. Or maybe one or all will be used to fill other urban voids. Equally plausible, it's all been done in the past. Undoubtedly of greatest interest to us is Work AC's sequel to its upcoming installation at P.S. 1. 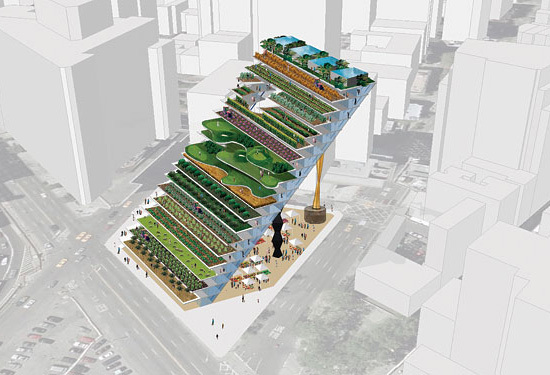 This iteration of the same idea takes the form of a multi-tiered apartment building with agro-roofs, propped up towards the sun by Brancusi sculptures and above what looks like a farmers' market. Or perhaps a flea market, where the detritus of a capitalist culture gets recycled in survivalist fantasia below a mythological rural idyll. 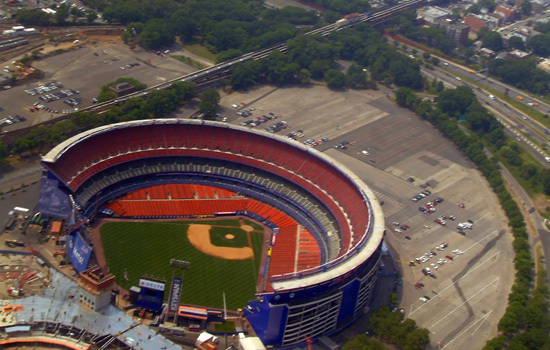 In any case, the whole structure reminds one of bleachers found in sports fields everywhere, leading us to wonder whether the second sequel in an urban agriculture trilogy by Work AC is an adaptive reuse of Shea Stadium, the soon-to-be former ballpark of the New York Mets, into a locavore utopia. 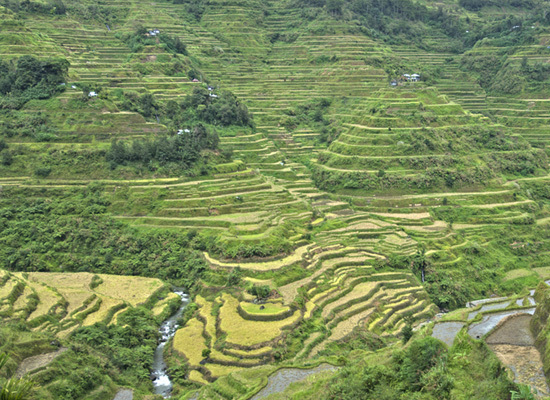 Build a duplicate stadium — why not 1,000 — and you could have the beginning of a Queens rice terrace to rival those found at Banaue in the Philippines. Part Grand Canyon, part Norwegian fjords, lining the edges of the five boroughs, built high up, protecting the megalopolis from sea level rise, bad diets and the coming global food crisis.